Screenprint. 8 x 8 inches, edition of 12 with 4 artist proofs. I made this for a class print exchange. At the time, I had planned on making it the first of a series, each portraying a facade of contemporary architecture, with the idea that these surroundings are, to me and those around me, as natural as anything else we encounter–the New Nature. 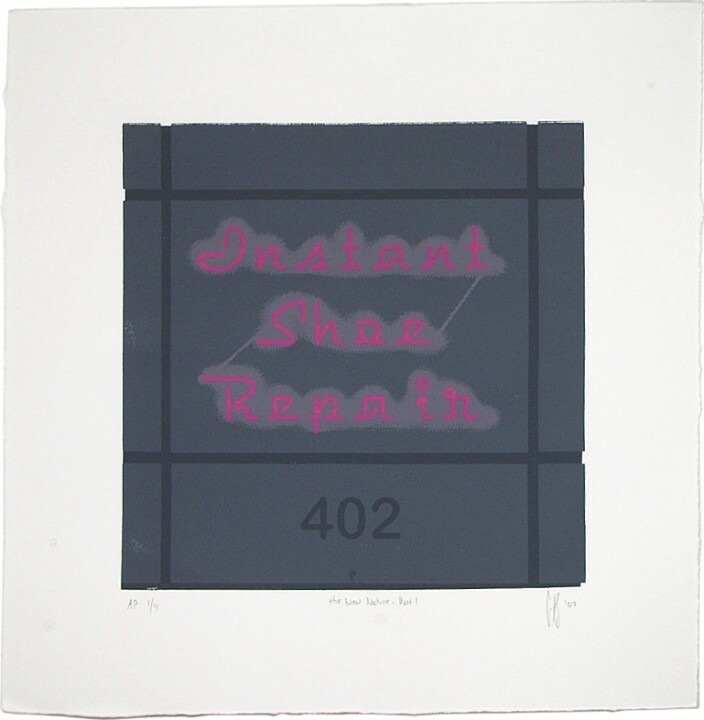 Screenprint. 10 x 10 inches, edition of 5. I took a summer course at Pratt, taught by the lovely and talented Kristen Ramirez. 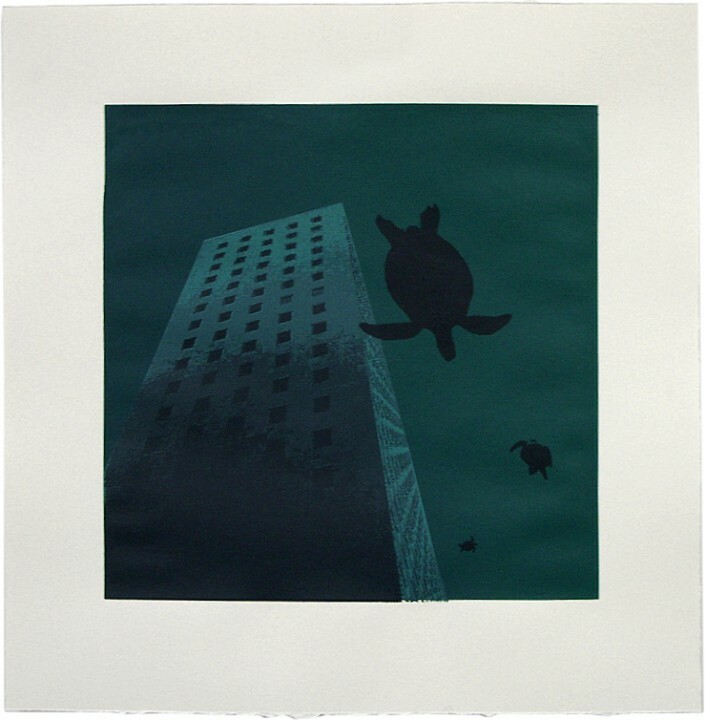 I’d recently had a dream about sea turtles flying over the Seattle cityscape, and when I put the memory of it to paper, the image became much more ominous: the turtles weren’t in the air… the city was underwater. For a first attempt, this was pretty ambitious. Including a final translucent layer for sheen, there are seven colors in all!